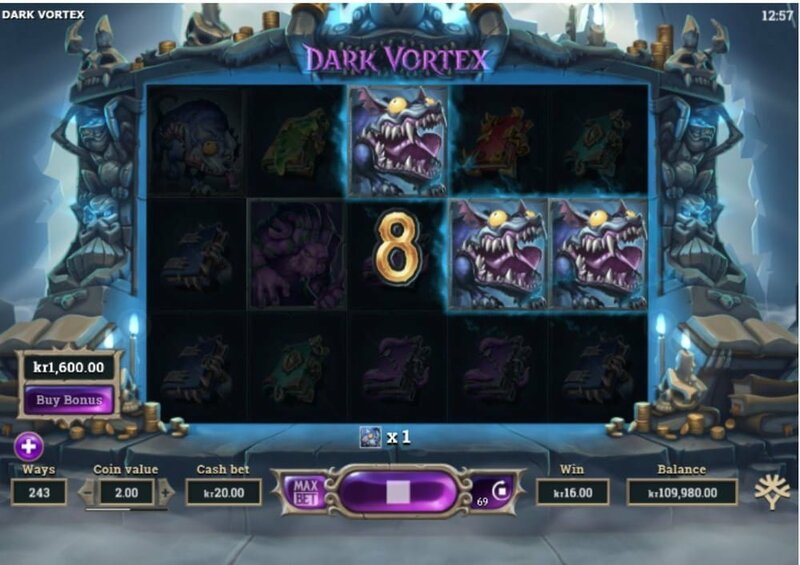 Dark Vortex is a medium to high variance Yggdrasil casino slot with 5 reels, 243 ways to win that expands with the aid of the Vortex Reels into 3,125 win ways. The top cash prize (non-progressive) up for grabs on a single spin is 7,318x your stake. It’s a big step forward for Yggdrasil to bring blockbuster games with graphically-rich content where the latency is measured in milliseconds with no graphics degradation. It’s clear as daylight that the slots developer targets participants with a home internet connection of at least 5 megabits per second. 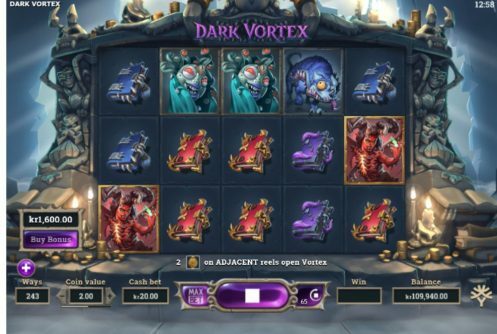 ”Yggdrasil pushed the limits with Dark Vortex, many players hail the video slot as a master of artistry, animation, visual effects and dynamics”. From an aesthetic point of view Dark Vortex really looks good it’s further punctuated by a Vortex Free Spins feature and RTP (average return to player percentage) of 96.5%. The reels of the game is laced with all manner of weird looking creatures even the audio track will send shivers down your spine! At a cost of around 80x your stake (Buy-in bonus feature) the slots developer added a cracking mechanic that gives you access to the free spins immediately and the RTP shoots up to 97%! We know Betsoft incorporated a similar feature into the mechanics of some of its games. Question is, is this slots a one trick pony or will Yggdrasil incorporate it into future releases? Dark Vortex is playable from £0.10 up to a maximum of £50 per spin on mobile devices and PC desktops. Symbols on the reels are the wild, Vortex (scatter), 2 orbs, different coloured monsters (high value) and the red she-devil which happens to be the most lucrative – 5 of them on the reels at the maximum wager pays 6x your stake. Slots play is made easier by a host of customization options that include Max Bet, Auto Play, coin bet range, audio and graphics settings. While we played the game we kept the audio on since it adds a nice dimension to the slots. Should the audio become monotonous after prolonged play you can always mute it. During the main game keep an eye out for the Vortex symbols because they are responsible for triggering the free spins feature, we’ll talk more about this feature in a bit. The wild symbol completes winning combinations when it substitutes adjacent symbols bar the scatter (Vortex) and Orbs. During the free spins feature it pops up on reels 2, 3 and 4. 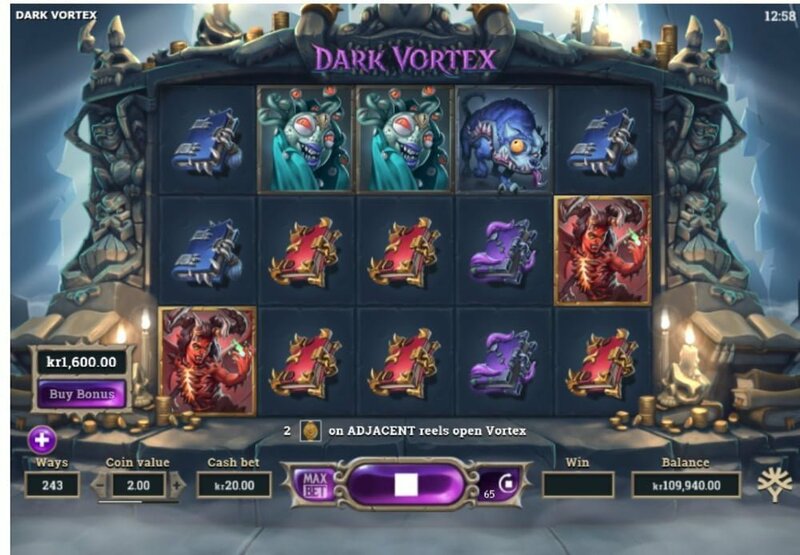 Yup Dark Vortex has a free spins feature that’s initiated when 5 Vortex scatters pitch any position on the reels during the base game. There’s more to the free spins than what meets the eye, 3 Vortex spins are awarded, what follows next blew us away. 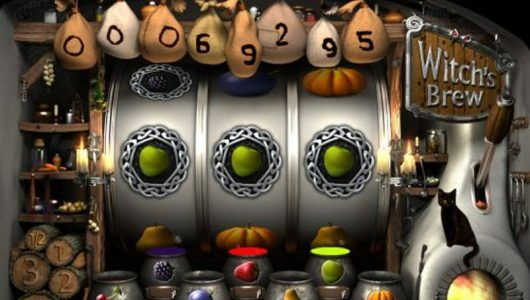 During the free spins the reels are sucked in by a dark portal that changes them from 3 to 5 high. For ever Vortex symbol an extra Vortex reel as well as an extra 2 spins are awarded. Keep in mind that the Vortex reels stay open until you’ve used all your Vortex Spins. The orbs join the party too but they only appear during the Vortex spins. The wild stack size only appears on reels 1 and 5 further enhances the Pink orbs. For every Pink orb an extra wild is added to the 3 centre reels. When a Blue orb pitches an extra free spin is added to your tally but they appear only on reels 2, 3 and 4 (Vortex Reels). ”We don’t think it’s presumptuous that Dark Vortex is one of Yggdrasil’s best slot releases to date. The graphic display of the game is remarkable, it’s engaging, fast-paced, has huge paying potential and it’s fitted with a unique ‘Buy-A-Bonus’ option that’s ideal for high rollers. On the volatility index we give it a 6 out of 10, meaning that you’ll experience a few dry spins before a winning spin. We also recommend Wolf Hunters from the same developer. Is Dark Vortex laced with innovative features? 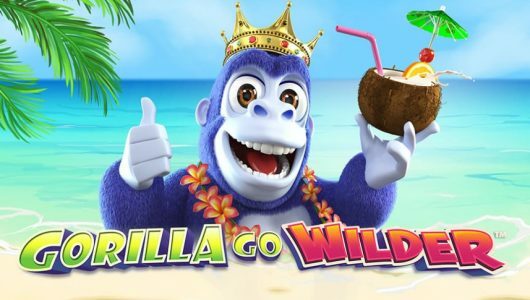 This is definitely not your run-of-the-mill slots because it comes with a ‘Buy-A-Bonus’ option that’s tailored for high rollers or to those who don’t have the patience to wait for 5 scatters to trigger the free spins. From a responsible gaming perspective the feature might cop some criticism but we think it’s highly unlikely. 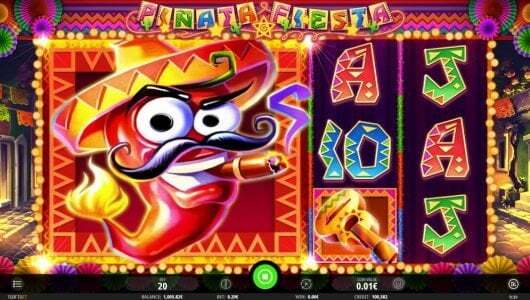 After all, this is what makes online slots play so exciting! Furthermore, the visual display is literally out of this world and we’re confident that it won’t buffer on mobile phones. Is the free spins feature triggered easy? No it’s not because it’s quite high up on the volatility scale, it takes approximately 80 or more spins to trigger the Dark Vortex free spins feature. Do I need a large bankroll to play dark Vortex? If you’re just playing for fun £20 would suffice but if you’re out to win some cash a bankroll of at least £300 would do. What’s the size of the game’s jackpot? The biggest win that can be won on a single spin is 7,318x your stake, however, to be eligible for this amount you must bet £50 per spin (max bet). How long does it take before I receive my wins? This depends on the online casino and the deposit method you’ve used. Most UK licensed operators clear withdrawals for credit/debit cards within 3 business days, ewallets (Neteller, Skrill) within 12 hours, Bitcoin within minutes and wire transfer can take 5 days.